At Safe Search for Kids, we welcome the use of our search tool to ensure that safe browsing on Google is always set to the strictest level of filtering, whether it’s being used at home or on every computer in school. To ensure the ultimate in internet safety for kids, we also encourage the use of internet filtering software to give parental control over how kids access the internet. This is not to be confused with Internet Security Software that protects your computer against viruses. There are four areas of online security that people need to be aware of. These are not presented as options, rather – they each offer a different level of security and serve different purposes. 1. Antivirus Software: This is essential basic software that filters your email to protect your computer from becoming infected with a virus or malicious software. No computer should be without this standard software. 2. Internet Security Software: This blocks viruses from infecting your computer due to a cyber attack or in the event you accidentally visit an infected website. Antivirus software is included in this higher level of security by trusted programs such as Emsisoft. There are other programs specifically designed to remove and block malware. 3. 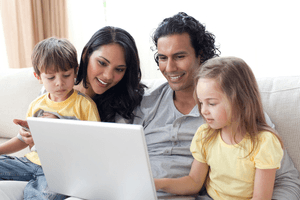 Internet Filtering with Parental Controls: More than likely, this is why you found your way to our website and ultimately to this page. If you are concerned about protecting your kids from harmful online content, you need proper internet filtering which blocks access to the internet according to the age of the child. 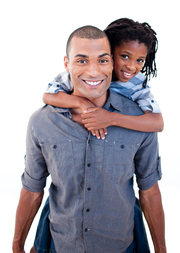 Read about the specific benefits of Parental Control Software. 4. Safe Search for Kids: The filtering tool on our website is powered by Google to ensure safe search results for all keywords entered. It is a FREE solution when searching Google. While it will block search results for inappropriate search terms entered, it does not block access to other areas of the internet when kids leave our site. This is where internet filtering software should be explored. As mentioned, internet filtering is not the same as protecting your computer against viruses. To fully protect against viruses and online threats (such as malware on websites) you may also want to consider Anti-Malware Software for virus scanning and malware protection. Choosing stand alone filtering software greatly improves your kids internet safety and allows parents the ability to set the safety controls for each child according to their age and responsibility. Software that features both accountability and filtering. What is the difference? Accountability: When software is installed on any or all computers in your home, you will receive a report emailed to you weekly to show high risk website that were visited. This feature does not block content. It is meant for older kids and adults who know that the report will be viewed, and therefore builds good computer habits. The accountability report can be further generated to easily show sites according to various ratings, such as Teen, Mature Teen and Mature. Learn More. Web Filtering: This feature of the software filters the internet and blocks potentially harmful content. If offers complete parental controls to set internet filtering according to user age, as well as put timelines on how long a user can surfing the internet, as well as restrict hours of use. This software can also be applied to applications and phones. So what about our website – Safe Search Kids? How does that fit into the mix of providing internet safety for kids? For one, our site only restricts potentially harmful websites on Google. Our website simply allows for added security for those who are not installing software filtering. Safe Search Kids is ideal for schools who want to implement safe search filtering instantly without having to painstakingly turn on safe search within the settings of each computer. This is done by bookmarking our home page, but search engines have their limitations. Filtering websites, videos and music according to custom account settings. Provides reports for searches, instant messages and social networks. Should I Use Additional Safe Search Filtering Software? It is important to note that Google safe search is not perfect. We strive to provide a healthy balance between screening out illicit material and providing quality search results. For this reason, the ultimate in security can only be achieved with the use of parental control software. This is difficult and costly in a school setting where you have hundreds of computers, which is why Safe Search Kids is a good step towards a safer online environment on a broader level. When you have control over 1 or 2 computers in you home, it becomes a viable option to consider filtering software options to protect kids, as well as your computer from viruses. The cost is minimal and gives the user much more control over what keywords are filtered out. The important thing is to do your research and compare all the pros and cons, including costs, before proceeding. 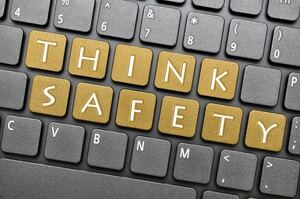 Read more about software solutions for kids internet safety. No search filter can replace parental supervision when it comes to children on the internet, but every little bit helps. Using our free internet filter ensures that Search for Kids SafeSearch is always on. « Why Do People Post Fake News?